We are captivated by small houses. Somehow they seem just right. 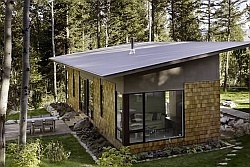 Small houses evoke a feeling of comfort and security that larger houses often lack. 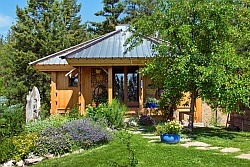 Small homes shelter us while consuming fewer resources and demanding less of our time for maintenance and cleaning. They are both space- and energy-efficient. 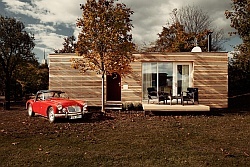 We love small houses of all kinds, from Victorian gingerbread cottages to minimalist Japanese houses, rustic cabins to modernist models of efficiency, hand-crafted cob cottages to factory-built prefabs and new designs to clever adaptive reuses of existing buildings. Small House Bliss will feature small vacation houses, Arts and Crafts bungalows, shotgun houses, accessory dwelling units, converted shipping container homes, beach shacks and more. 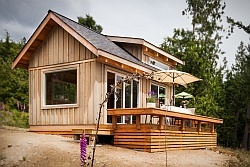 Small House Bliss is dedicated to showcasing well-designed and interesting small houses of all kinds. 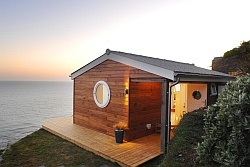 Our aim is to convince more people that living in a smaller house is not only possible, but preferable. For those who need no convincing, we hope to inspire you with ideas for planning and organizing your own small home. If you have a house you’d like to share with our readers, please click here. 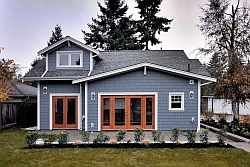 For more information about one of the houses featured here, contact the designer or builder directly using the links provided in the article. Note that we do not sell houses or plans, and we do not build houses. If you would like to talk to us about anything else, please use the form below. Small House Bliss is first stop each morning. Many great ideas can be found here! wonderful……love to look and look and drool…..
Where did find all of that clear fir for interior surfaces? I’m looking for the house plans for Fox Hollow . Are they available ? If so , Whom do I contact ?